A Beacon in ARK: Survival Evolved is a colored beam of light which marks the location of a supply crate that slowly descends from the sky. The color of the beacon indicates the level required to access the contents of the crate. Each crate contains an apparently random selection of offerings (such as raw resources, weapons, building components, or blueprints), with higher-level beacons generally containing more valuable blueprints and loot. 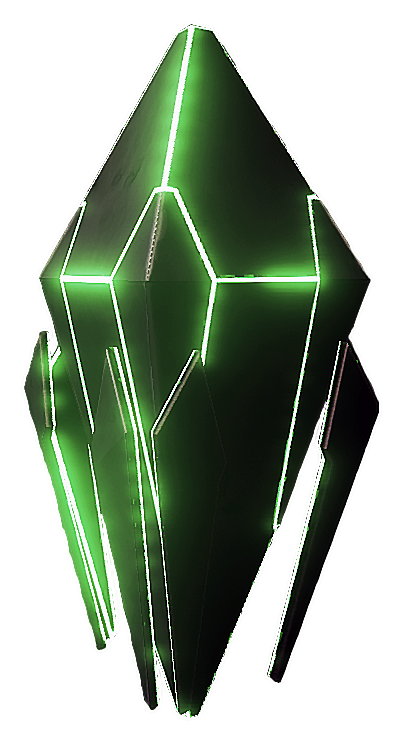 Beacons and their associated supply crates look alien in nature, with weird flashing light around the outside, and their source is unknown. Beacons are one of the ways to get higher-level items and blueprints, such as Ramshackle, Apprentice, Journeyman, Mastercraft and Ascendant level items. In the sea, special Deep Sea Loot Crates can be found which contain only one high quality item. A map of locations including deep sea, desert and cave loot crates can be found on the Explorer Maps. When a beacon first spawns, a large, tangled web of lights is visible at the very top. This indicates that the supply crate has not yet reached the ground. The supply crate will take a few minutes to fully descend; from a distance it can be seen as a bright orb moving down the beacon, while up close the shape of the actual crate can be seen. When the supply crate hits the ground, the tangled web of lights atop the beacon disappears, and the beacon appears as a somewhat shorter spire of light which tapers towards the top. The supply crate drops with 100 health and slowly decays over time, and bursts apart when its health reaches 0 or when it is looted by a player. The crate's health has no bearing on the loot found inside. Although extremely useful, there are several hazards associated with beacons. It is not advisable to stand directly in the beam of light as the supply crate descends because if it hits the player, the player falls through the ground into water, and either drowns or must swim to the sea in order to escape (This is a bug, present as of v.186). Additionally, a beacon lights the surrounding area brightly, and this light disappears abruptly when the supply crate is looted or de-spawns, potentially leaving a player who had relied on this light blind or disoriented. Finally, beacons on PvP servers draw other players, who will generally fight each other for the crate's contents. Some beacon spawn points are over water and the player must tread water to loot the crate. Others are obstructed by trees (e.g., a central point on Craggs Island). Supply crates will go through trees to land on the ground, however, some crates may not be accessible due to, for example, spawning on an extremely steep incline (such as the rocks by the Obelisks). Supply crates cannot be opened by a player whose level is lower than the beacon's. Players at level eighty or higher will also be able to collect Deep Sea Loot Crates. They often have ramshackle or higher quality items. They scarcely spawn and are hard to find due to being underwater (although a SCUBA Mask can help with this), but have relatively fewer spawn locations, making them more predictable. Players do not require any level to activate the Supply Drop found around Corrupted Earth. 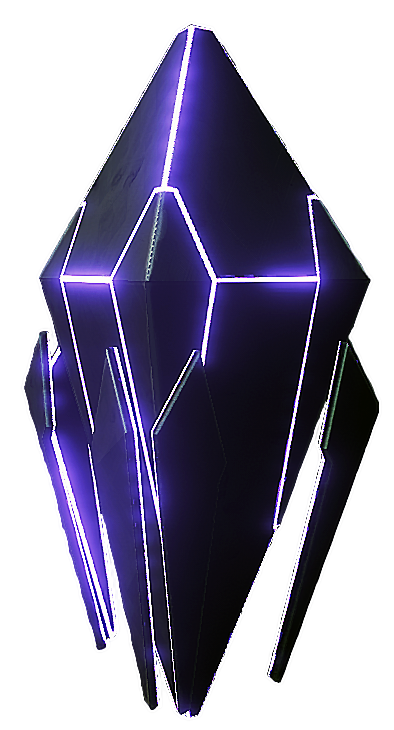 Unlike other crates however, these drops requires players to fend off against Corrupted Creatures from destroying it before the contents can be claimed. In Aberration Beacons on the surface start at level 35 (blue), only cave crates have all colors. All beacon drops contain items of the same Arbitrary Quality, with the exception of their rare "Double" drop versions, which are indistinguishable from normal drops. "Double" drops of colors other than white, green, or purple have their Arbitrary Quality multiplied by two, while white, green, and purple double drops simply contain more items. The crate contains exactly 1 of the following tier sets. The tier set "Campsite" contains exactly 6 of the following item entries. The item entry "Campfire" contains at least 1 and at most 2 of the following items. The item entry "Sparkpowder" contains at least 2 and at most 6 of the following items. The item entry "Waterskin" contains at least 1 and at most 3 of the following items. The item entry "Sleeping Bags" contains at least 1 and at most 3 of the following items. The item entry "Dinner" contains at least 10 and at most 30 of the following items. The item entry "Blueprints Campsite" contains exactly 1 of the following items. The tier set "Clothing" contains exactly 6 of the following item entries. The item entry "Pants" contains exactly 1 of the following items. The item entry "Shirt" contains exactly 1 of the following items. The item entry "Gloves" contains exactly 1 of the following items. The item entry "Boots" contains exactly 1 of the following items. The item entry "Hat" contains exactly 1 of the following items. The item entry "Blueprints Clothing" contains exactly 1 of the following items. The tier set "Weapons" contains exactly 6 of the following item entries. The item entry "Hatchet" contains exactly 1 of the following items. The item entry "Slingshot" contains exactly 1 of the following items. The item entry "Spear" contains at least 1 and at most 3 of the following items. The item entry "Torch" contains exactly 1 of the following items. The item entry "Flare Gun" contains at least 0 and at most 2 of the following items. The item entry "Blueprints Weapons" contains exactly 1 of the following items. The tier set "Resources" contains exactly 6 of the following item entries. The item entry "Stone" contains at least 7 and at most 15 of the following items. The item entry "Flint" contains at least 7 and at most 15 of the following items. The item entry "Thatch" contains at least 30 and at most 90 of the following items. The item entry "Wood" contains at least 15 and at most 30 of the following items. The item entry "Fiber" contains at least 30 and at most 80 of the following items. The item entry "Hide" contains at least 25 and at most 50 of the following items. The tier set "Small Shanty Shack" contains exactly 6 of the following item entries. The item entry "Floor" contains exactly 1 of the following items. The item entry "Doorframe" contains exactly 1 of the following items. The item entry "Door" contains exactly 1 of the following items. The item entry "Walls" contains exactly 3 of the following items. The item entry "Roof" contains exactly 1 of the following items. The item entry "Blueprints Small Shanty Shack" contains exactly 1 of the following items. The tier set "Furniture" contains exactly 6 of the following item entries. The item entry "Wood Sign (small)" contains at least 0 and at most 2 of the following items. The item entry "Storage Box" contains at least 0 and at most 3 of the following items. The item entry "Simple Bed" contains exactly 1 of the following items. The item entry "Standing Torch" contains at least 1 and at most 4 of the following items. The item entry "Sparkpowder" contains at least 10 and at most 20 of the following items. The item entry "Blueprints Furniture" contains exactly 1 of the following items. The tier set "Saddles" contains exactly 2 of the following item entries. The item entry "Phiomia Saddle" contains exactly 1 of the following items. The crate contains exactly 2 of the following tier sets. The tier set "Wood Shack" contains exactly 6 of the following item entries. The item entry "Blueprints Small Shack" contains exactly 1 of the following items. The tier set "Cold-weather gear" contains exactly 6 of the following item entries. The item entry "Blueprints Cold-weather gear" contains exactly 1 of the following items. The tier set "Raider" contains exactly 6 of the following item entries. The item entry "Bow" contains exactly 1 of the following items. The item entry "Arrows" contains at least 20 and at most 50 of the following items. The item entry "Tranqs" contains at least 10 and at most 20 of the following items. The item entry "Parachute" contains at least 0 and at most 3 of the following items. The item entry "Blood Kit" contains at least 0 and at most 1 of the following items. The item entry "Spyglass" contains at least 0 and at most 1 of the following items. The tier set "Resources" contains exactly 7 of the following item entries. The item entry "Stone" contains at least 20 and at most 40 of the following items. The item entry "Flint" contains at least 20 and at most 40 of the following items. The item entry "Wood" contains at least 40 and at most 100 of the following items. The item entry "Fiber" contains at least 50 and at most 100 of the following items. The item entry "Hide" contains at least 40 and at most 80 of the following items. The item entry "Narcotic" contains at least 5 and at most 10 of the following items. The tier set "Farming" contains exactly 7 of the following item entries. The item entry "Crop Plot - Small" contains at least 1 and at most 3 of the following items. The item entry "Compost Bin" contains at least 0 and at most 1 of the following items. The item entry "Pipe - Intake" contains at least 0 and at most 1 of the following items. The item entry "Pipe - Tap" contains at least 0 and at most 1 of the following items. The item entry "Pipe - Straight" contains at least 1 and at most 4 of the following items. The item entry "Pipe - Non-Straight" contains at least 0 and at most 6 of the following items. The item entry "Blueprints Farming" contains exactly 1 of the following items. The tier set "Furniture" contains exactly 5 of the following item entries. The item entry "M&P" contains at least 0 and at most 1 of the following items. The item entry "Cooking Pot" contains at least 0 and at most 1 of the following items. The item entry "Paintbrush" contains at least 0 and at most 1 of the following items. The item entry "Storage Box - Large" contains at least 1 and at most 2 of the following items. The tier set "Advanced Wood Housing: Flooring" contains exactly 5 of the following item entries. The item entry "Ramp" contains at least 0 and at most 2 of the following items. The item entry "Fence Foundation" contains at least 2 and at most 7 of the following items. The item entry "Pillar" contains at least 0 and at most 2 of the following items. The item entry "Large Sign" contains at least 0 and at most 1 of the following items. The item entry "Blueprints Adv Wood Housing" contains exactly 1 of the following items. The tier set "Advanced Wood Housing: Second Story" contains exactly 4 of the following item entries. The item entry "Hatchframe" contains exactly 1 of the following items. The item entry "Trapdoor" contains exactly 1 of the following items. The item entry "Ladder" contains at least 1 and at most 2 of the following items. The tier set "Advanced Wood Housing: Other" contains exactly 5 of the following item entries. The item entry "Windowframe" contains exactly 2 of the following items. The item entry "Window" contains exactly 2 of the following items. The item entry "Catwalk" contains at least 0 and at most 3 of the following items. The item entry "Wall Sign" contains at least 0 and at most 2 of the following items. The crate contains at least 1 and at most 2 of the following tier sets. The tier set "Lvl 25 drops" contains exactly 1 of the following item entries. The item entry "Lvl 25 drops - always BP" contains exactly 1 of the following items. The item entry "Lvl 25 drops - no quality" contains exactly 1 of the following items. The item entry "Lvl 25 drops - with quality" contains exactly 1 of the following items. The tier set "Lvl 35 drops" contains exactly 1 of the following item entries. The item entry "Lvl 35 drops - always BP" contains exactly 1 of the following items. The item entry "Lvl 35 drops - no quality" contains exactly 1 of the following items. The item entry "Lvl 35 drops - with quality" contains exactly 1 of the following items. The tier set "Lvl 45 drops" contains exactly 1 of the following item entries. The item entry "Lvl 45 drops - always BP" contains exactly 1 of the following items. The item entry "Lvl 45 drops - no quality" contains exactly 1 of the following items. The item entry "Lvl 45 drops - with quality" contains exactly 1 of the following items.